Incredibly, by 2020 more than 50% of enterprises will entirely replace the tools they use to support core IT operations with tools originally used by DevOps. Combined with smaller teams supporting microservices, there’s more software than ever to build, manage, and monitor, introducing increased complexity and potential downtime. When you have many microservices running in a distributed architecture, it’s essential to connect your systems to ensure visibility. But those connected systems become very noisy in automated environments, setting off chain reactions of repetitive events between all your systems. That means your responders may receive hundreds of notifications in minutes during event floods, making it nearly impossible to focus on fixing the problem! To help your teams cut through noise and understand what’s broken and why, xMatters has just released powerful new features to its intelligent event management solution. Whether you’re in the middle of an outage—or trying to figure out how to avoid the next one—the five features highlighted below will help your team be smarter about event management in an increasingly complex services world. Just one system blowing up in an automated environment can result in hundreds of failures that produce separate events. While initial events typically contain all the details necessary to identify which of your systems needs attention, follow-on events create noise and distraction. To address this reality, xMatters event flood control correlates and suppresses subsequent events so that targeted recipients receive a single notification from xMatters, and then periodic updates during an ongoing flood. By recognizing and correlating similar events in real time, xMatters turns a flood into a manageable slow drip, suppressing noise by 90% or more so teams can focus, find, and fix the source of the problem. The report is like an ‘event time machine’ that unlocks insights from historical data and facilitates root cause analysis. This extensive data access helps you perform complete event audits and define better processes to identify and prevent similar incidents. Although the public cloud grabs all the headlines, more than 50% of companies still support hybrid on-premise/in-cloud environments. If you still have applications behind the firewall, we’ve got you covered with visibility across hybrid IT environments. xMatters now gathers additional on-premise system information to inform you about incidents, regardless of where they start. 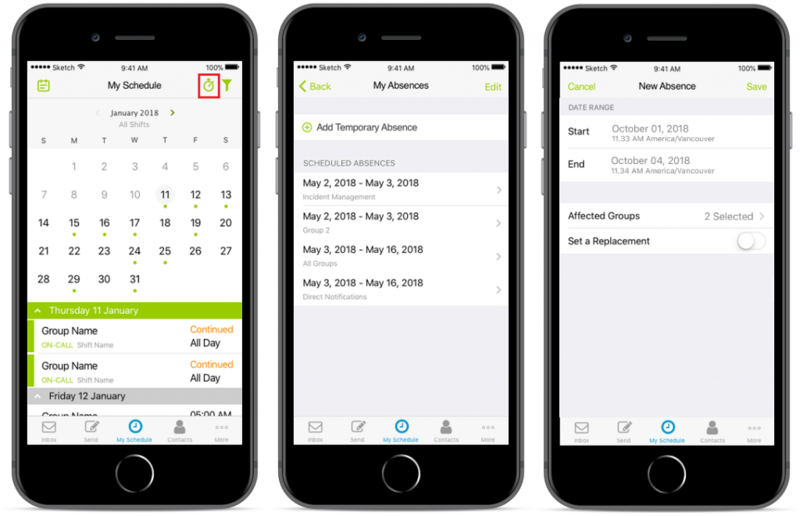 Once they’ve configured the absence and assigned a replacement, their supervisor is automatically notified, and incidents are always covered. Since no incident happens in a vacuum, we continue to roll out new and updated integrations with other DevOps tools. There are several new integrations timed with this release, with two of the most exciting being Jira Ops and Microsoft Teams. In conjunction with Atlassian, the Jira Cloud add-on has been extended to include Jira Ops, so you can receive notification responses, escalations, and comments from team members from the new Jira Ops timeline. And, our Microsoft Teams integration helps you connect with the correct on-call resources directly from your chat app. Once the xMatters bot is added to Microsoft Teams, you’ll be able to use it in any channel simply by referencing it. See who’s on call, engage the right resources, and track responses to coordinate and resolve incidents faster. We hope you’re excited about the new intelligent event management features from xMatters. No doubt developing and running digital services will get more dynamic—and challenging—as delivery cycles compress, small teams ramp up, and more applications try to tell you things about incidents. Getting smart about IT event management today will smooth the rough spots your team may encounter tomorrow. If you’re not already using xMatters, give it a try on our dime! xMatters Free is available for small teams and integrates with all the apps you already use in your DevOps environment.